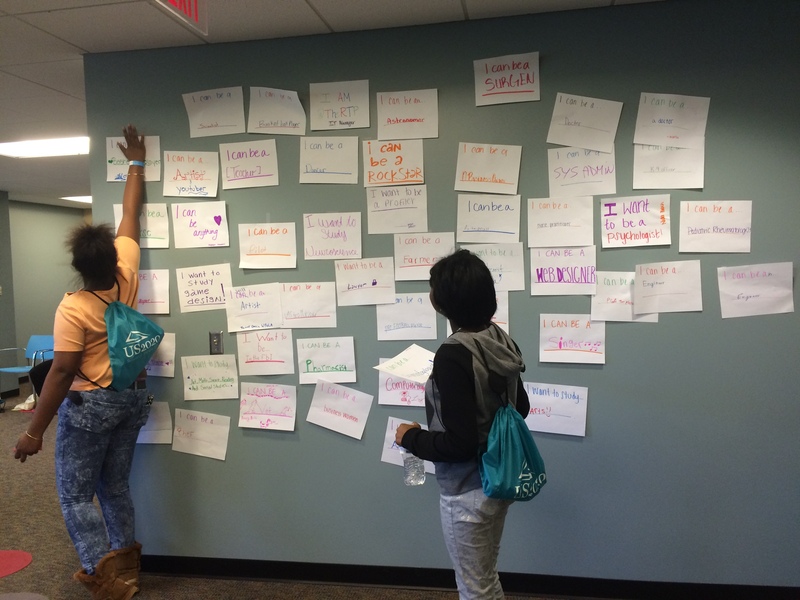 Thanks for Coming out to the RTP STEM Expo! 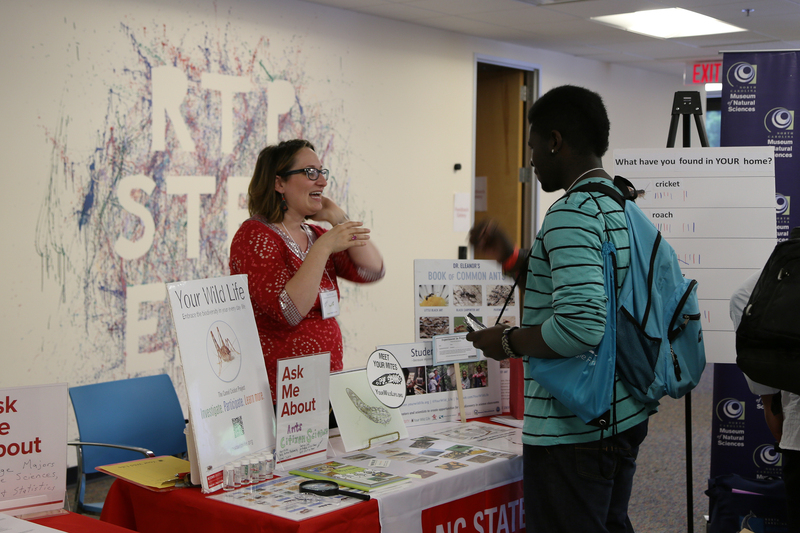 The Research Triangle Park > STEM in the Park > Thanks for Coming out to the RTP STEM Expo! 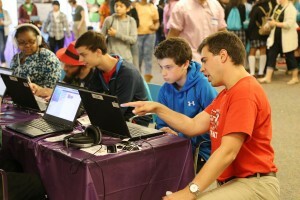 Thanks so much to the 781 people who came out to The Frontier for the RTP STEM Expo last Friday! We had over 500 middle and high school students participate in a day of citizen science, interactive STEM demos, and food trucks. 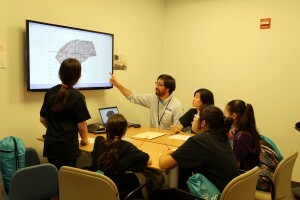 116 people volunteered for over 500 hours, and 40 partner organizations participated by bringing demos, students, and citizen science activities. 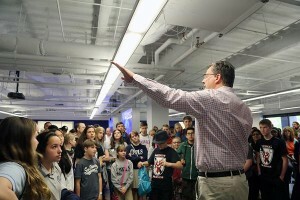 In addition to the events at the Frontier, over 200 students attended company tours at Bayer, Monsanto, Cree, Biogen, US EPA, and Cisco Systems. 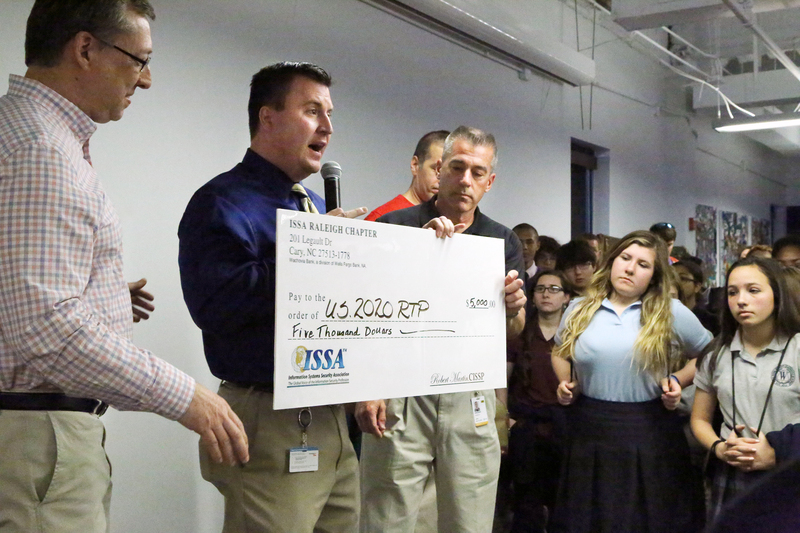 Many thanks to the folks at the Information Systems Security Administration Raleigh Chapter for donating $5,000 to US2020 RTP at the Expo. Thanks for supporting STEM mentoring and outreach in RTP! 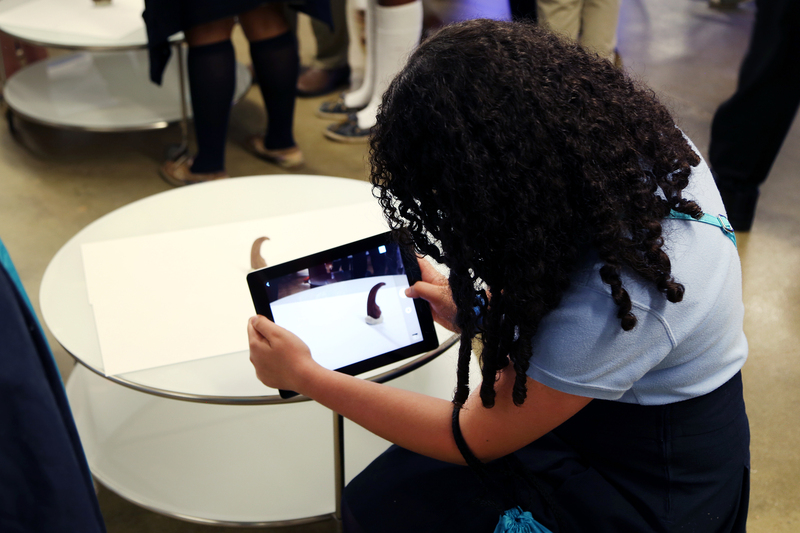 Students had a lot of fun at the Citizen Science station doing research with paleontologists from NC State University and the NC Museum of Natural Sciences. 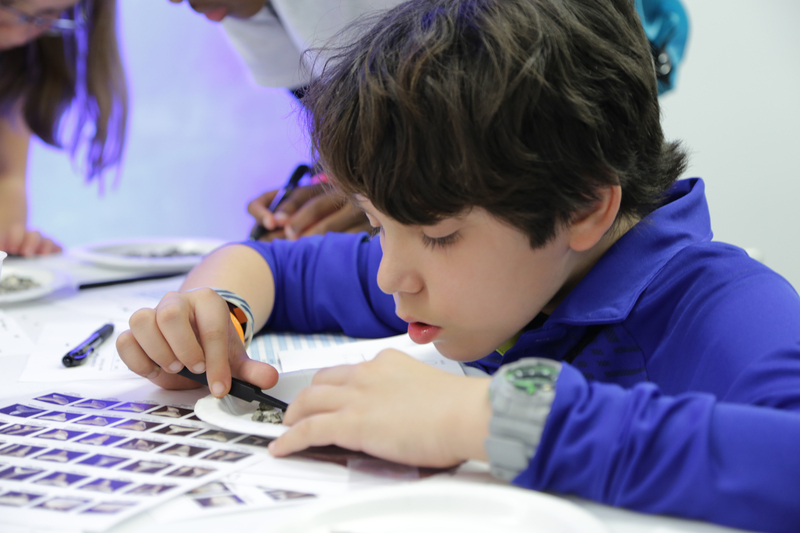 Students collected data on shark teeth, dinosaur teeth, and fossilized dinosaur eggshells. 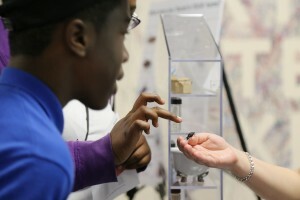 At the Paths to the Park, students interacted with hands-on STEM demos from over 20 organizations. The organizations that brought demos included BASF, Biogen, BRITE Program at NC Central University, Burroughs Wellcome Fund, College of Sciences at NC State University, Cree, Inc., Duke Lemur Center, Duke OBGD/BioCoRE, GSK, Fidelity Investments, Marbles Kids Museum, Monsanto, NC Museum of Natural Sciences, Piedmont Wildlife Center, Red Hat, Research Laboratories of Archaeology at UNC, RTI International, SACNAS – Duke Chapter, SAS, UNC Center for Public TV, UNC Eshelman School of Pharmacy, UNC Gillings School of Public Health, UNC Microbiology and Immunology Department, US EPA, and Your Wild Life. 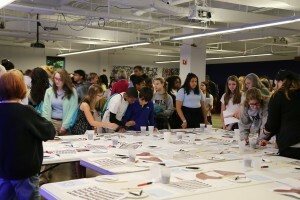 Thank you so much to everyone who brought a demo! 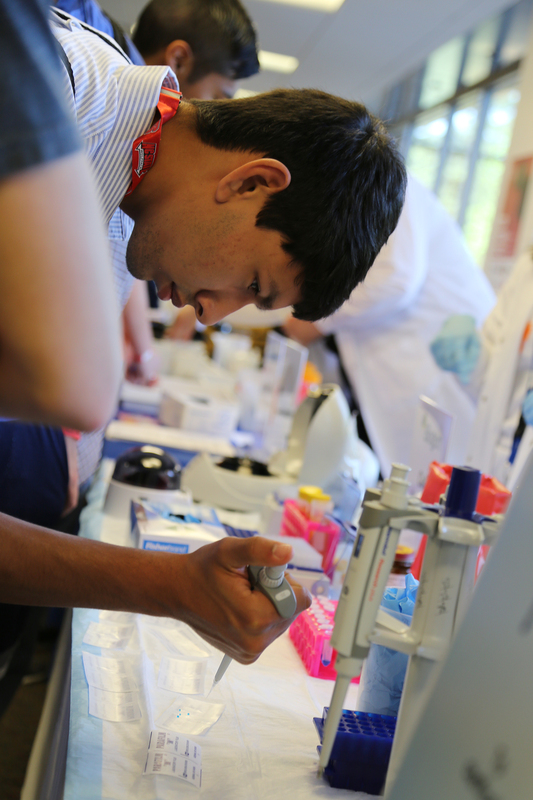 Students voted on their favorite demo and the winner of the Student’s Choice Award was……drum roll….Duke OBGD/BioCoRE! They won this year’s RTP STEM Expo Dino Crown. 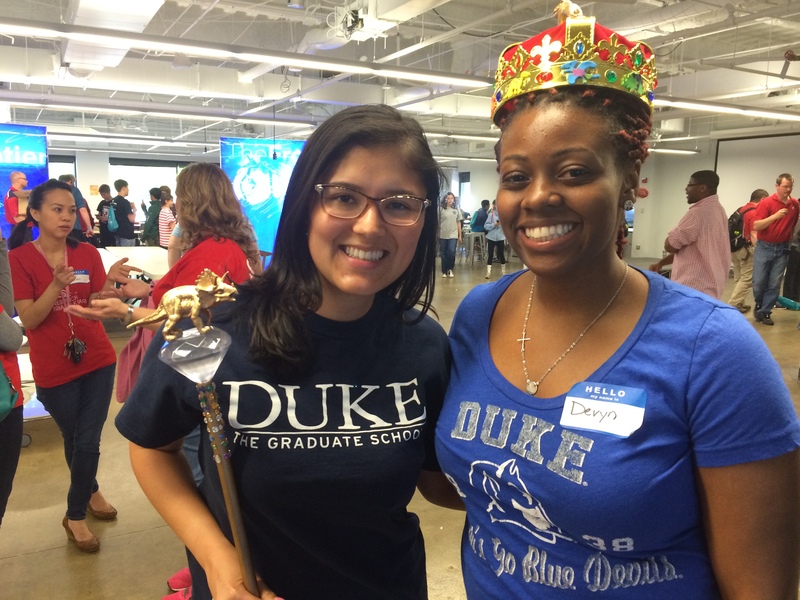 Congratulations Duke, we’re sure it’s the most prestigious award you’ve won this year…. 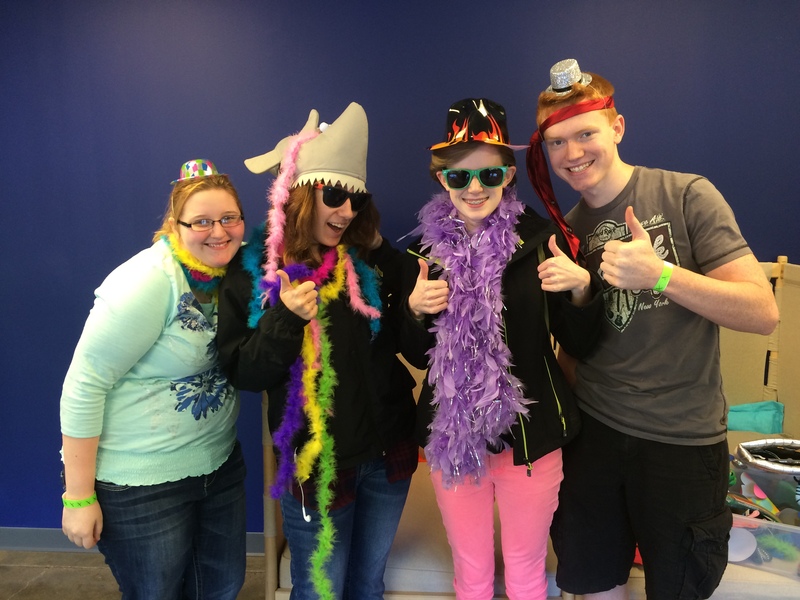 Students had fun posing with items at the “selfie station,” a DIY photobooth full of dinosaurs, sharks, and tiny hats. 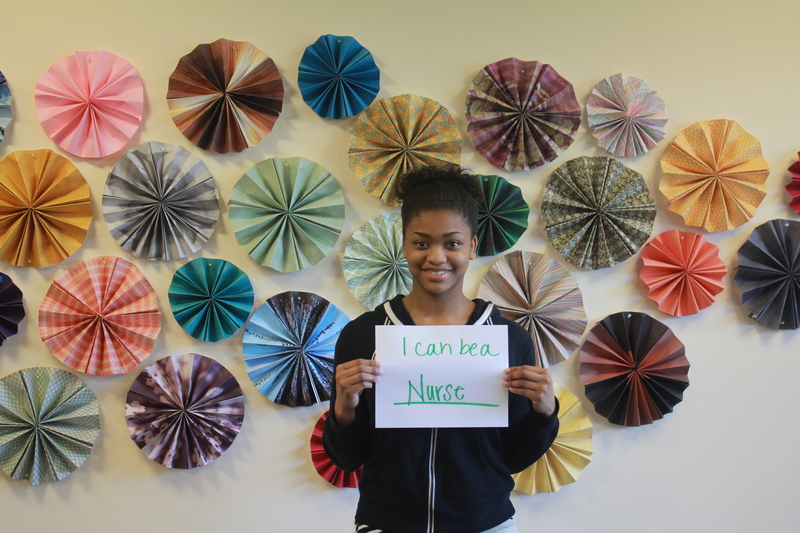 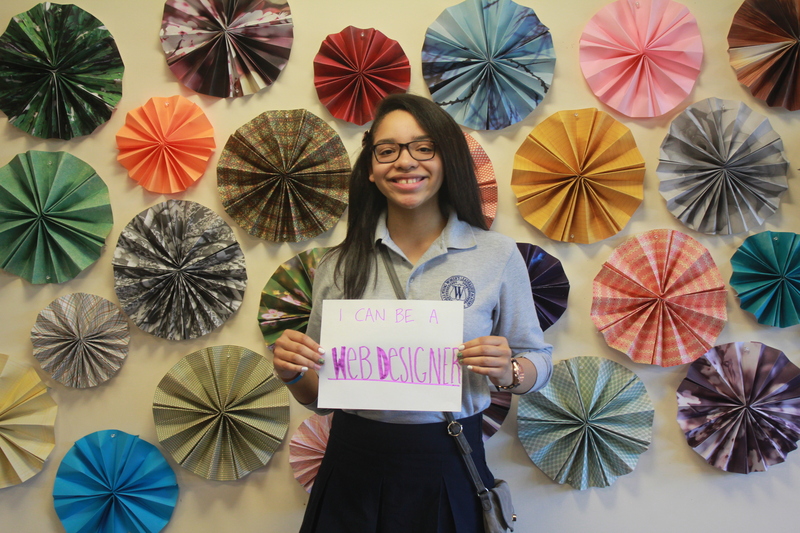 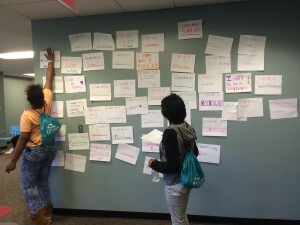 Students envisioned a future career at the “I Can Be” Station where they wrote signs outlining what they wanted to be and put them on the Dream Wall. Students wanted to be doctors, pilots, marine biologists, agricultural scientists, and much more. 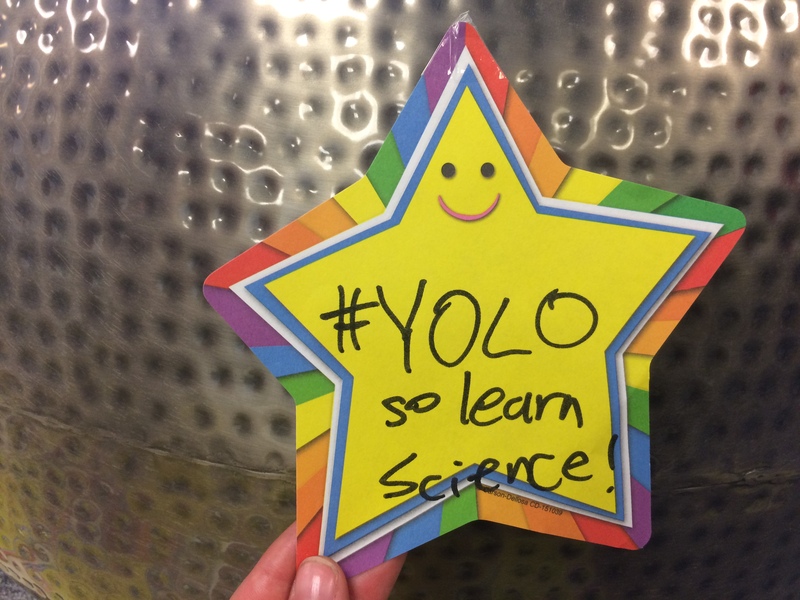 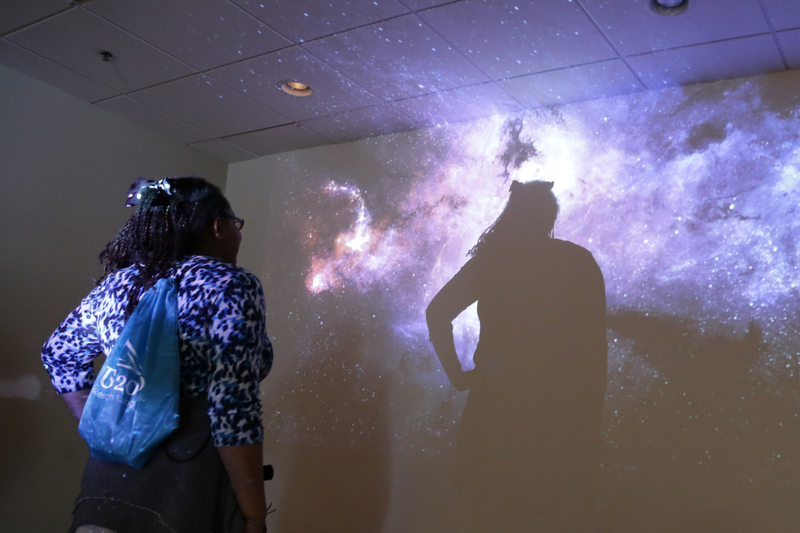 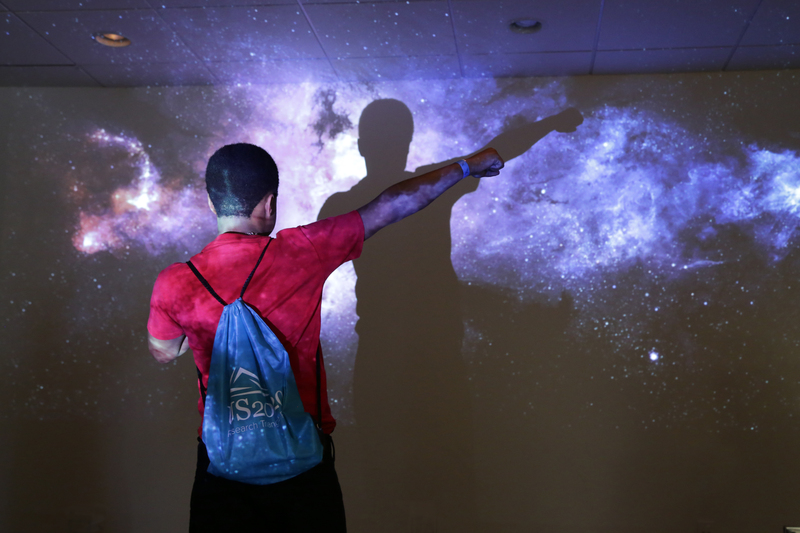 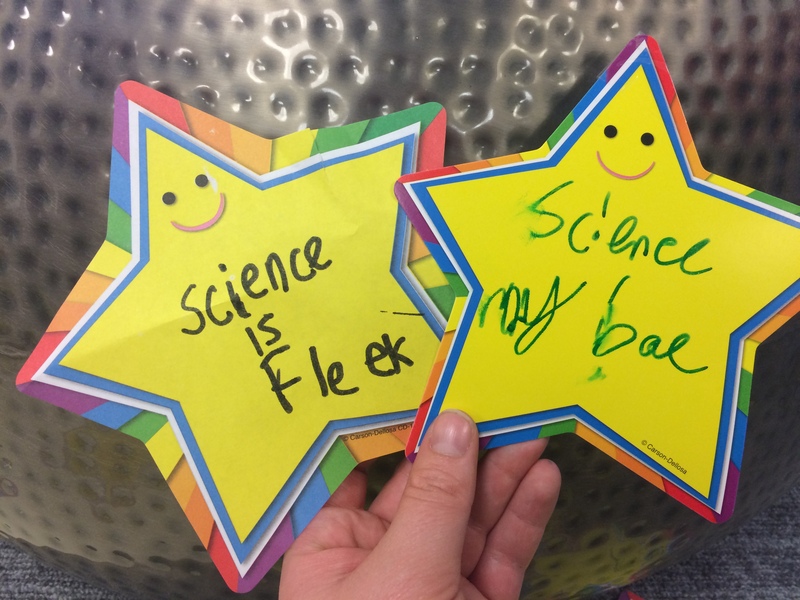 Students told us what they liked about the Expo in the Feedback Galaxy room. Apparently science is cool these days. To see the rest of our photos, check out our album on Facebook. 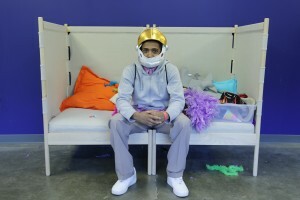 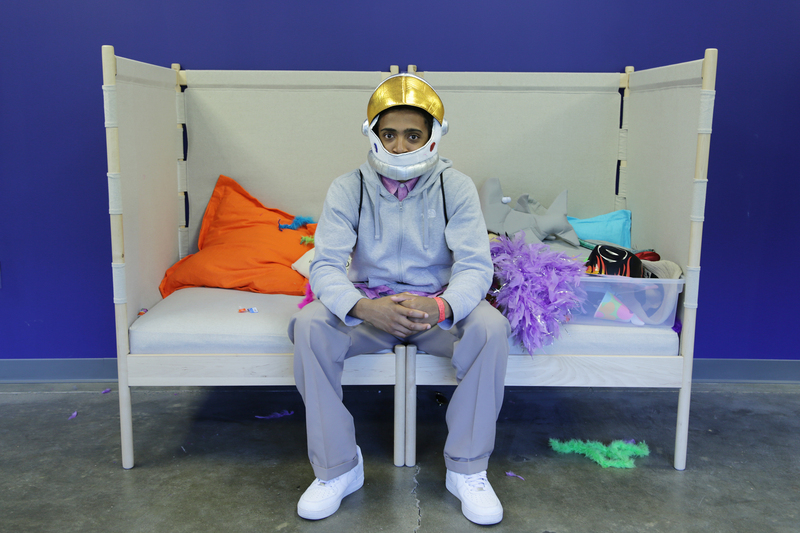 For updates about future events and STEM outreach, follow us on Twitter at @STEMinthePark.